See the world in a new light. 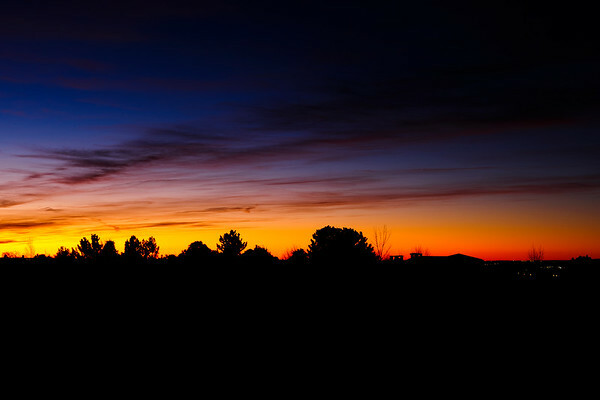 Sunrises and sunsets offer some of the most spectacular photographs. Browse our landscape gallery today. 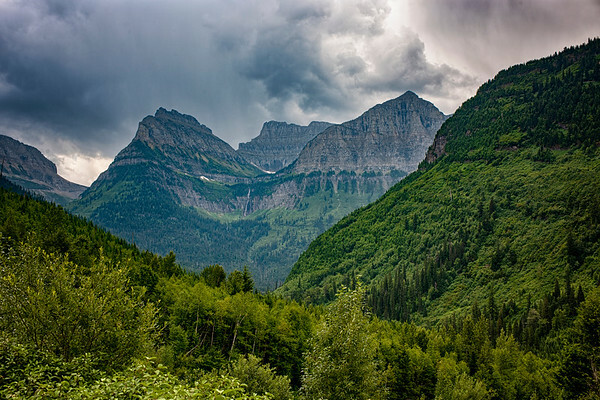 One of the many majestic views during our visit to Glacier National Park. This was along or trip on "Going to the Sun" road. 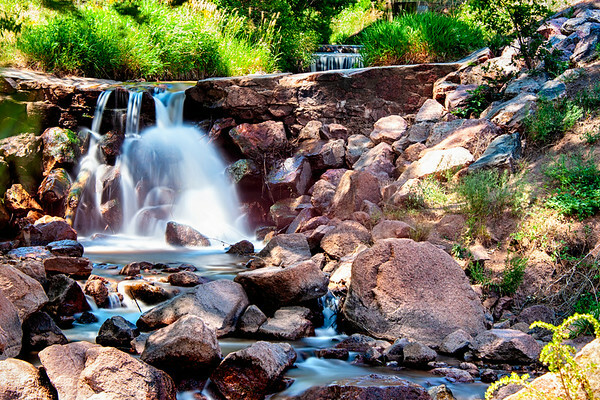 Most visitors to Manitou Springs, Colorado miss this little gem. 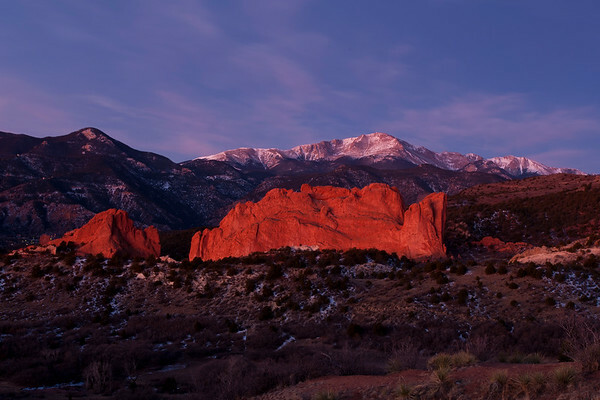 It is located just west of the Manitou Springs exit just off of Hwy 24. This piece would make a beautiful addition to any Executive Office. There is just something about the silhouette of the Rocky Mountains that gives me a greater appreciation for the beauty in Colorado. 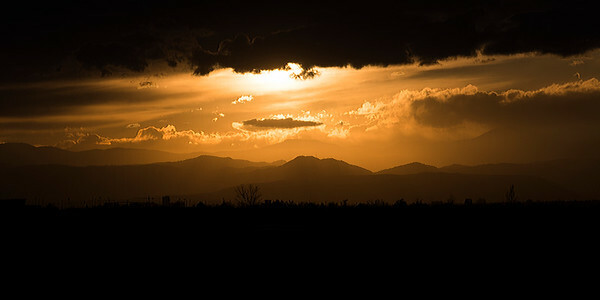 As I was leaving the Rocky Mountain Arsenal North of Denver, a winter storm was rolling in at sunset. This was the view, one that captures the majesty of the Colorado Rockies. 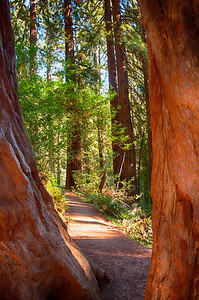 This was captured during an early morning stroll through the Muir Woods before the gates opened. The gatekeeper was nice enough to let me in with my camera. I call it my devine stroll having the park all to myself that morning. Spiritual! Enjoy! 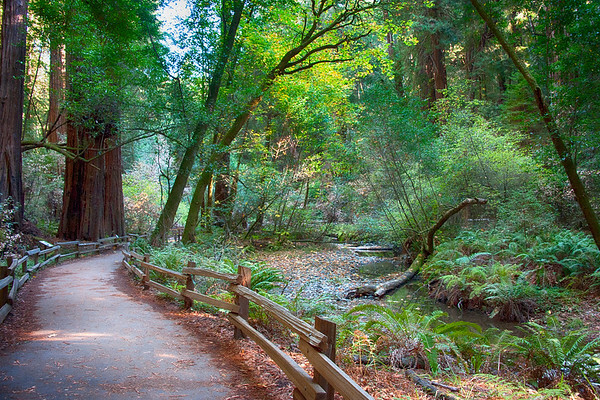 A quiet early morning stroll through the Muir Woods just north of San Francisco. We got there before the gates opened and had the entire park to ourselves thanks to the wonderful gatekeeper! An absolutely beautiful place to visit. The beauty of Colorado in an unlikely location. 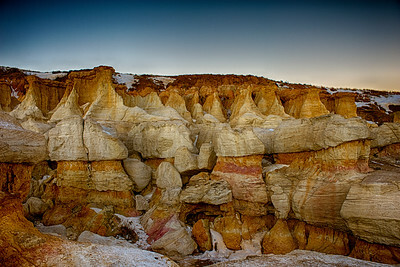 The Paint Mines is a hidden gem near Calhan, CO. 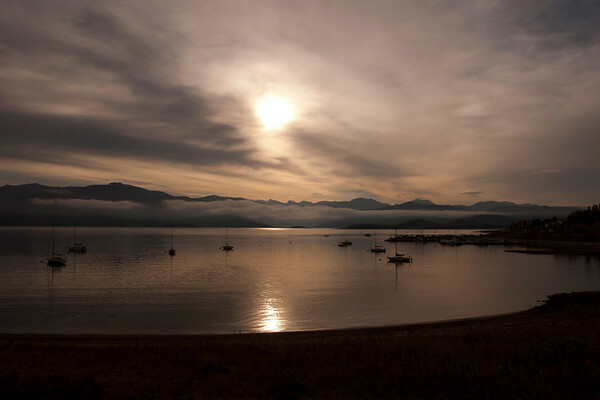 This shot was during an early morning trip for sunrise photos. I captured this photo along side of I-25 just north of Colorado Springs. The sunset was so amazing that I went from 75 miles per hour to a tripod and my camera. Our world is certainly Gods country! Hope you enjoy his work! If you look close you might just see the fishing boy on the cradle moon. 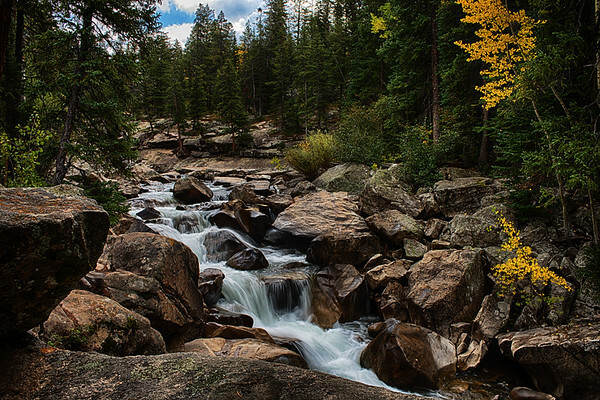 The pass provides a route between Georgetown in the valley of Clear Creek to the north and Grant in the valley of Geneva Creek, a tributary of the North Fork South Platte River, to the south. The pass is traversed by the Guanella Pass Scenic Byway. 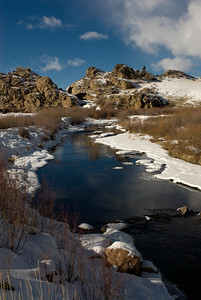 The road provides a link between Interstate 70 to the north and U.S. Highway 285 to the south. 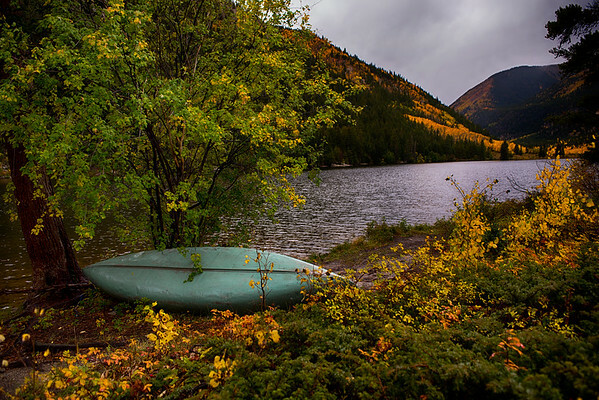 A stunning view overlooking Cottonwood Lake near Buena Vista, Colorado during fall colors. Stunning beauty of the White River near Aspen, Colorado on the West side of Independence Pass. This photograph as par of a weekend adventure to capture the beauty of Colorado during the winter. Tarryall Reservoir is located West of Colorado Springs near Lake George. 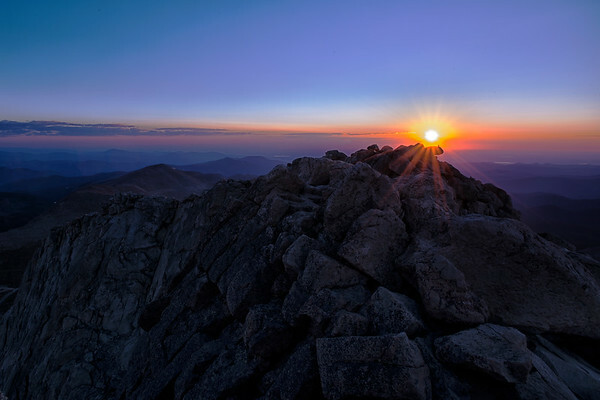 You will be awed when you see the high resolution print of this stunning early morning sunrise taken at the 14,217' Mt Evans located in the Rocky Mountains of Colorado on a mid-August morning. 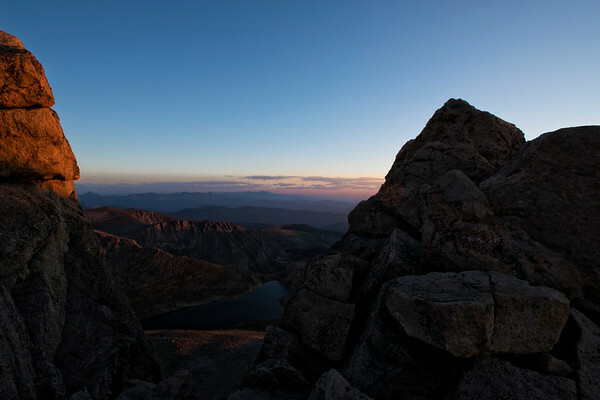 A spectacular early morning Colorado sunrise overlooking Denver captured at the summit of Mt Evans (14,271'). 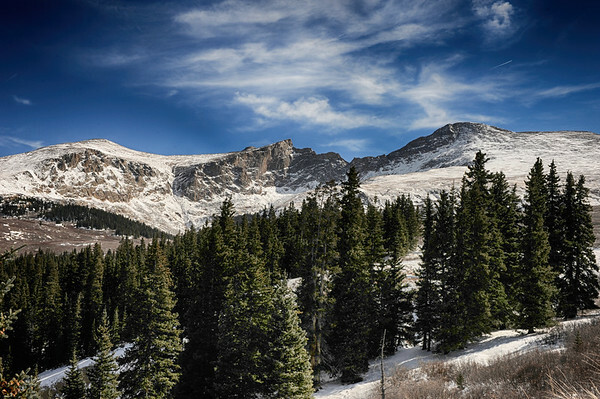 Mt Evans is the hight summit of the Chicago Peaks in the Front Range of the Rocky Mountains of North America. This piece will captivate your eyes as you feel as if you are on the top of the summit yourself. 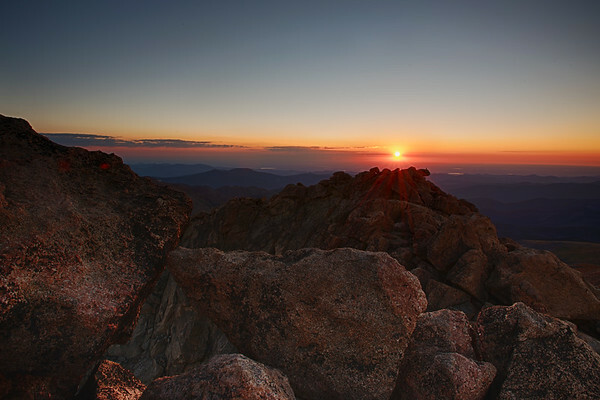 Spectacular sunrise view from the summit of Mt Evans looking to the North.